Kitchen Cabinets Regina | Local Pages | Merit Kitchens Ltd.
Renovating your kitchen can be satisfying with proper planning. Achieving design perfection, be it old world or modern, is exciting and shouldn’t be overshadowed by the stress of finding a reputable kitchen cabinet manufacturer who can meet your exact standards. When you enlist Merit Kitchens, you’re not just installing some of the best kitchen cabinets Regina can provide, you’ll also have a team of experts behind you every step of the way. When Merit Kitchens was first established, we were a small cabinet manufacturer that served Vancouver and its surrounding areas. Since then we have grown to become a major supplier in North America, Central America and Asia. Our skilled team consists of expert tradespeople, designers, customer care specialists and technical advisors, all of whom consistently deliver some of the finest kitchen cabinets Regina has to offer. All of our kitchen cabinets are built using only premium materials and environmentally friendly products. Our craftspeople incorporate innovative German engineering techniques to ensure lifelong durability of all of our products. 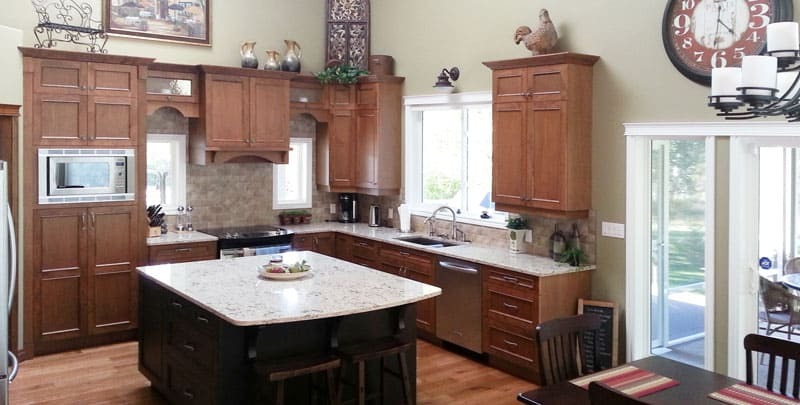 Although we have an extensive offering of door styles, finishes, accessories, and storage inserts, we also cater to custom designed and manufactured kitchen cabinets in Regina.